If you are looking for a place with a little Middle Eastern and Lebanese magic, served up quickly or delivered at your doorstep, this is your best bet. The generously stuffed mouth-watering shawarma wraps or pita pockets that are full of molten cheese do not disappoint. There is always too much to choose from in terms of variety, when it comes to their sumptuous platters with various combinations of dips, kababs, fresh Arabic fatoush, crispy fries, soft flat breads and pickled vegetables. The quality of service and warmth of the staff is also noteworthy, plus they also take extra pain to see that our order is delivered hot and on time. 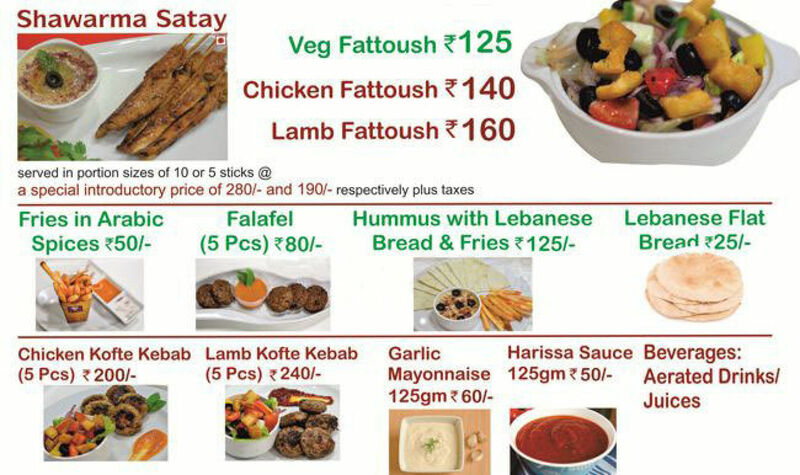 You can take advantage of exotic Lebanese food right here in Gurgaon. In a small outlet at Central Plaza Mall, Golf Course Road, Gurgaon, you can get your hands on some delicious Middle Eastern fare. ‘Shawarma House’ may look like your average day of the mill place, small and unassuming but it will surprise you with its ferocity of flavours. Fortunately located right in the heart of corporate warfare Shawarma House gets tons of attention from the office goers in the vicinity. They flock the joint to lay their hands on rolls and pita pockets. 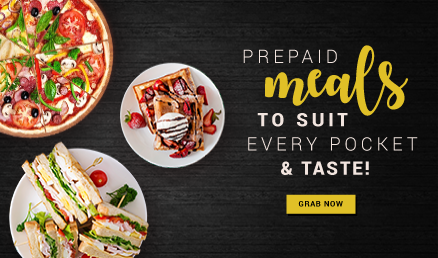 The stuffed pockets filled with goodness attracts the punters on limited budget. Sit back and relax with a shawarma wrap on your own couch. 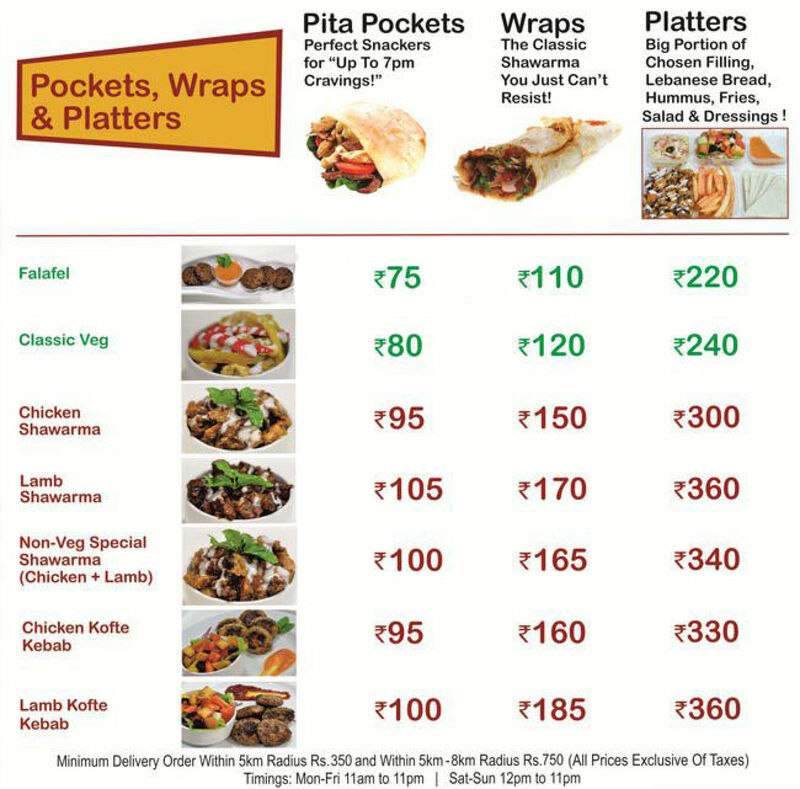 The Shawarma House delivers the Lebanese delicacies to your doorstep in a jiffy. The staff make special effort to make sure you get your food piping hot with exceptional taste. Middle Eastern cuisine is pack full of flavours made attractive by colours bursting on the plate. Spices are generously used balanced by cool yogurt dips served on the side. 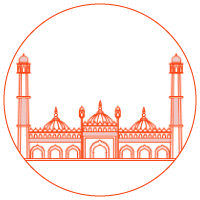 Menu is influenced by Lebanon and Arabic region. For appetizer you will find fries in Arabic spices, falafel, hummus with Lebanese bread & fries, Shawarma satay, veg/chicken/lamb fattoush and chicken/lamb kofte kebab. The delicious starters are presented with smooth and tangy dips to enhance the spices such as, garlic mayonnaise and harissa sauce. The food is dominated by use of harissa, garlic and chickpeas. For much more filling options choose Beirut lamb/chicken burger, pita pockets, wraps or platters with stuffing of falafel, classic veg, chicken shawarma, lamb shawarma, chicken+lamb shawarma, chicken kofte kebab and lamb kofte kebab. If you want to sample everything then go for platters which will include big portion of chosen filling, Lebanese bread, hummus, fries, salad and dressing. The food is mouth-watering, flavourful and yummy. For your sweet craving Shawarma House dishes out the delightful Egyptian bread pudding, Umali, which is a must have. The staff is warm and friendly, always attentive to your needs. They definitely add to the Lebanese experience. The generous wraps with multiple layers of fillings work beautifully together. They cater for special and corporate events and will make customize menus for you for bulk orders. If you are on a shoestring budget then you will be happy to see your bill which will end up under four-fifty for two people. Savour the eastern delights at central plaza mall or in privacy of your home.